Buy 6 and get a 7th bottle free (add 7 to the basket and the discount of £9.50 will be applied). You don’t buy this for the taste but for its amazing results – check it out! It strengthens your immune system and a by-product is better deeper sleep. That is how I was introduced to it as I was sleep-starved for 5 years following a burglary. Have a glass of water ready; pour Black seed oil on to 5ml teaspoon and then swallow following immediately with a good mouthful of water. The bitter taste is gone in a second and it should not cause any issue. The taste is bitter which we should have included in our diet but rarely do nowadays. The bitter taste is gone very quickly and some customers tell us that it is a taste they grow to enjoy! It is an incredible gift from nature and its powerful effects help to heal your body……. remarkable stuff! Great for a natural sleep aid and deepens your sleep into Delta Wave (dreaming) sleep, it may work immediately or after a week or two – we’re all different. You can also use Blackseed oil on your skin. It makes a wonderful rich face oil to use at night and the oil can be applied to dry skin anywhere. HOWEVER, we do urge people to be sensible and apply a small amount on to their arm or leg to test how they are with this oil. If everything is fine and their skin is soft and no pinkness at all, then apply a small amount on your face. Just a SMALL area. If this is ok, then you are absolutely fine with it. In 9 years + of using this oil, I have only ever met 2 people who did not get on with it using it on their skin/face. Everyone else has been absolutely fine with it. I apply it to my face 2-3 times a week and put it over my neck and face, it is a joy to use and my skin loves it. Like everything in life, someone somewhere does not get on with something so just test a bit on your skin to be sure first. Simples! Try it! Black Seed Oil is totally natural and has over 3000 thousand years of documented history. Considered so valuable it was found in the tomb of Tutankhamun! Due to natural components of Blackseed oil called Nigellon, Blackseed oil (Nigell Sativa) is brilliant with Asthma. It actually increases the size of the air tubes in your lungs (bronchioles) and reduces the difficulty in breathing making Asthma much more manageable and less of a problem. Black seeds are added to the food of racing horses in Egypt if they show signs of Asthma and this gets them back running and winning races much more quickly. Eases pain significantly in the joints due to Arthritis and injury strains such as old skiing injuries or trauma. Lots of good feedback on this. 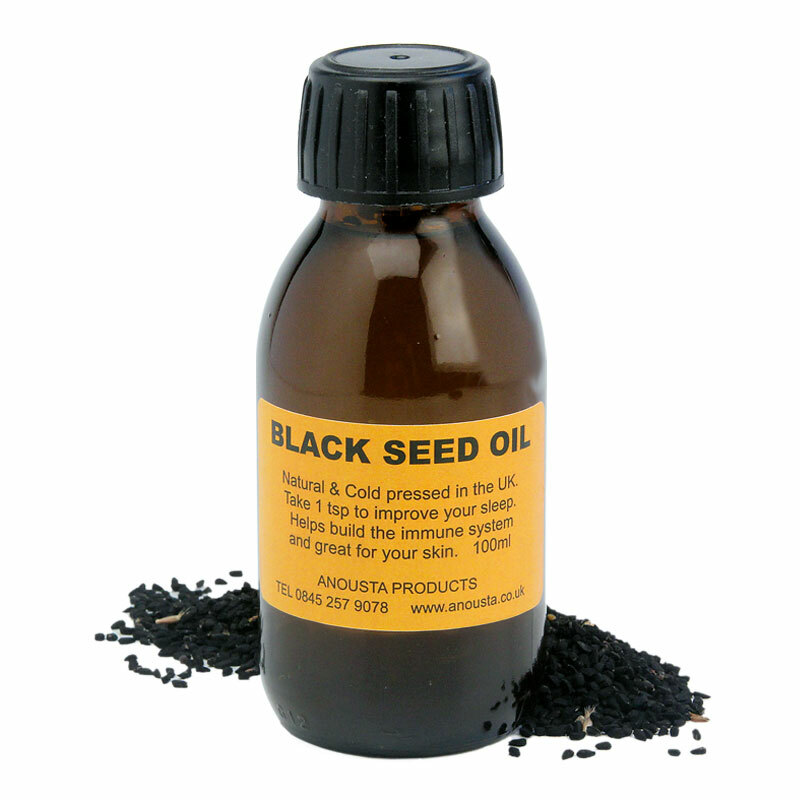 Black seed oil, Also known as Mercy seed oil and Black Cumin has been used for centuries to build up our immune systems and keep us more able to defend ourselves against coughs, colds and Flu. Black seed oil does so much more than can be described in a few short sentences. With so much history of its use and testimonials, it would fill volumes! You can ask us to send you the BLACK CUMIN book we have in the shop or if you just want a leaflet of information on this incredible product, just call us on 01202 886189 and we can send it to you. Watch the video above and ask us anything you may need to know about the remarkable natural seen called Blackseed or Black Cumin. It is antiparasitic and superb at dealing with Allergies, superb in greatly reducing Asthma and other lung conditions, and has also been used for centuries in skin care and helping provide gorgeous full bodied shiny hair. 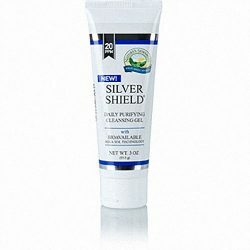 I had Psoriasis for 6 years, I am more open to natural supplements now because if I find anything that works for me in whatever way I desire, it’s something to consider for life. Blessed Seed Oil™ is an effective way to treat Psoriasis without the use of prescription drugs, I have used steroid cream for years, and as anyone who suffers the same skin disease knows, it is not good in the long term. I have stopped scratching like a monkey (may be funny to some, but not to those in the same shoes as I am), my ugly scars have lightened & it’s barely seen (as a woman, I was very self-conscious & wished that the hideous scars could fade away). My skin glows! Something I thought could never happen. My daughter has very serious eczema on her neck, elbows, and knees area. She suffered this for many years and we had to depend on expensive steroid cream and oral tablets, which did not help much as the itch did not go away. As a mother, seeing her scratching her body day and night distressed me. I am glad those days are over now. A family friend recommended Blessed Seed Oil™ to us, I am grateful he did. The improvements were visible after the first few days of taking orally & external application, which is too good to be true. Her rashes, broken skin and inflammation lessened. After 5 weeks, her skin is no longer troubled by the itch. When the scratching stopped, the healing process accelerated. I am glad we found a solution for her. We have an elderly dog who was generally 'slipping away' and was piddling on the carpet a lot! The black seed oil said it was suited to an elderly owner, so I thought I would let the dog try it! The dog accepted it easily on her food. We noticed she was more lively and didn't wee on the carpet anymore. She's eating well and now good for her 15 years of age. May i just say thank you for this amazing product called BLACKSEED OIL. 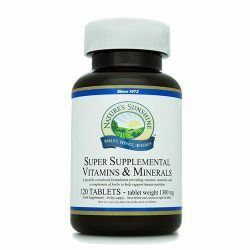 I am a 39 year old male who has been taking Blackseed oil for around 12 months or so. the difference within myself is 100%. My skin is so much smoother than ever before. I also suffer with Eczema. I also had a pain in my toe for 2 years which could have been arthritis. I started taking Blackseed oil and its no longer giving me problems. I was on pain killers, amitriptyline, codeine, naproxen because of pain all over my body due to my fibromyalgia. I started taking BLACK SEED oil around March 2016 and within 2 months I was off all the above medications and just taking neurofen. Now I sleep like a log. In November I joined a gym, I do yoga once a week, Pilates twice a week and 3 aqua aerobic classes. It's unbelievable. I feel I have my life back. I don't feel depressed anymore. On a busy day I will take it twice, morning and evening.